There are many different reasons for getting a facial: to preserve the youthful appearance of skin, to get rid of blackheads, to maintain skin integrity or to relax and feel pampered while in the quiet oasis that is the estheticians’ room. A facial is a multi-step process with cleansing, exfoliation of skin, extractions of black and white heads, treatment mask for your individual skin needs, moisturizer to hydrate and nourish the skin we often neglect and finishing with protection for the skin using a broad spectrum SPF. This process promotes younger looking skin and leaves you feeling refreshed, relaxed, and with the advice from the esthetician, ready to care for your skin as part of an on-going program of skin care. So, how relaxing is a facial? After a consultation, you put on a wrap and climb between the sheets onto a heated table and start the relaxation process while the technician gets to work. First is a gentle cleansing followed by a skin analysis to determine your basic skin type and conditions (if any) to formulate the best treatment plan. Then a relaxing steam to soften up any black or white heads for easier extraction. Exfoliation is next, removing the dead skin cells on the surface, extractions (if needed), a facial massage (ahhh) and a facial mask. While the mask sits, a scalp or foot massage is given and then a final application of serums, moisturizer and protection. How long do these amazing benefits last? Immediately after your facial, your skin will radiate a healthy glow. Professional facials should be received at least 4 times per year at change of the seasons, but monthly is optimal. 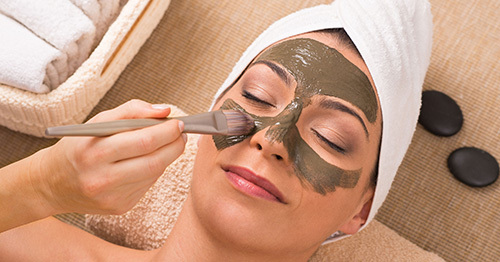 A trained, licensed professional esthetician is specially trained to help and teach us to take care of our skin. 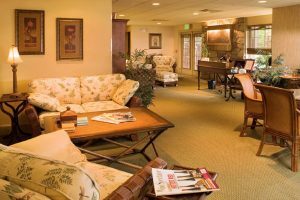 Our Spa is located in the Carriage House. And yes, men should receive facials as well… not only for the relaxation factor, but to learn how to best care for their skin as well. Men’s facials deal with their unique issues such as razor burn, ingrown hairs and damage from the elements. At the Spa of the Christmas Farm Inn, we are proud to be an AVEDA concept Spa, using only AVEDA products to best treat your skin and our dedicated estheticians receive regular training from AVEDA specialists on the most up to date techniques and products for you. You can be assured that your skin care needs will be met and catered to your individual needs. And that bliss? You’ll feel it all day long!